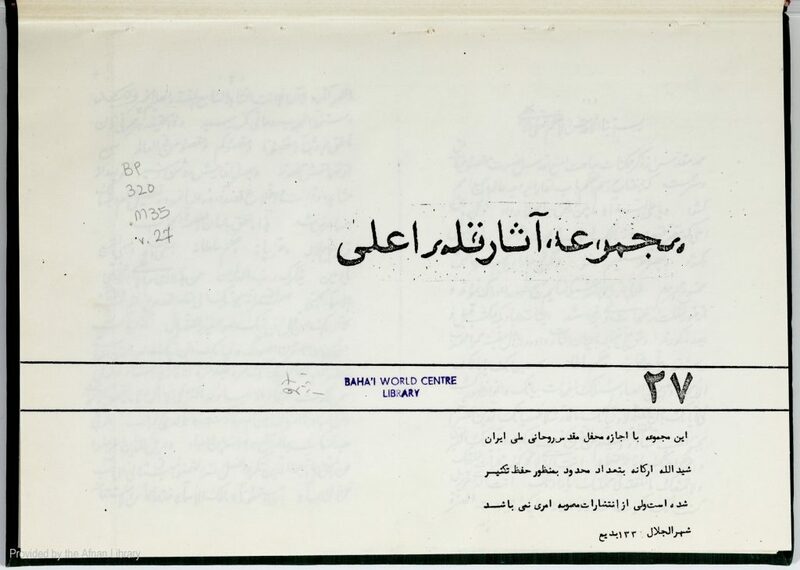 Description: Collection of Tablets of Bahá’u’lláh. Some Tablets have identification of the recipient; recipients include Ibn-i Asdaq and Hájí Amín. Table of Contents at end of volume, pp. 262-272 of PDF (see link above). Manuscript, 520 pp. + 11 unnumbered pp. of Table of Contents (273 pp. of PDF).